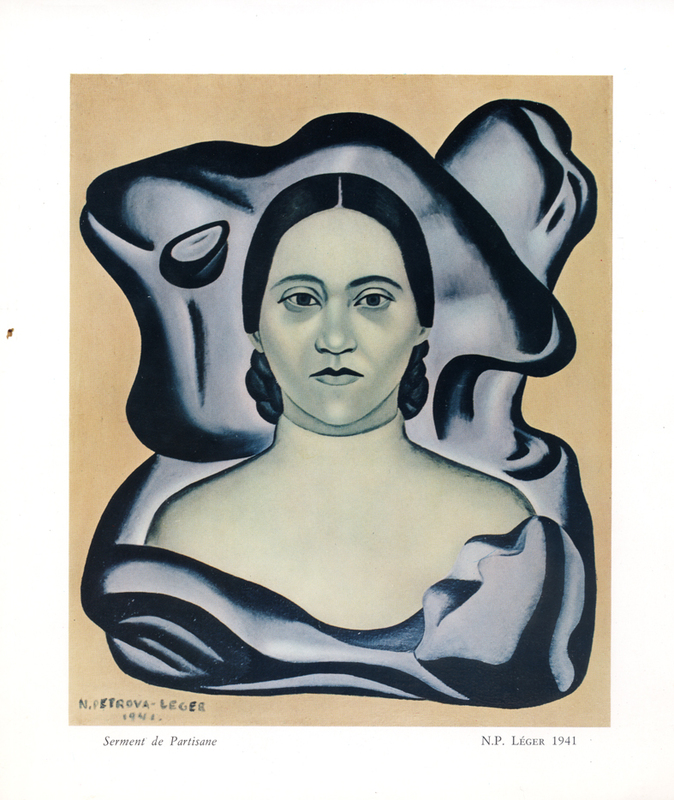 6 September 2018, 6:00 p.m.
Nadia Khodasevich-Léger was one of the most fascinating female artists of the 20th century. Her story, evolving from pre-Revolutionary Russia, to Poland, then Paris, and her relation with both Western modernism and the USSR in terms of ideology, painting practice, and privileged visits to the Soviet republics are displayed in this Lodz retrospective. While she adored Léger, she was unable to marry him but ran his studio in his absence. While he courted wealthy figures such as Maud Chester Dale in New York, she espoused aspects of his more figurative style, to portray herself as proletarian 'counter-muse' in 1936. As manager - not muse - but a hard-working artist herself, she controlled not only his large school of students but artistic and studio affairs, and was an active composer and producer of works by 'Léger' as well as 'Nadia Khodasevich'. Within the post-1945 context of French Communist travail du parti, she was far more than a muse or a counter-muse but a formidable woman one should rank with Emilia Kabakov or Jeanne Claude, the partner of Christo. She must be situated with competiting égeries russes in postwar Paris whose roles as intermediaries with the USSR rais questions, such as Elsa Triolet, the partner of Louis Aragon. As a 'difficult' woman one could compare her maneouverings with those of Dina Vierny, muse but later skilful creator of the Musée Maillol. The simultaneous production of Soviet 'cult of personality' mosaics, now lost in Russia and 18-carat gold Suprematist brooches for Pierre Cardin sums up Nadia - a more complex character than meets the eye. Sarah Wilson is Professor of the History of Modern and Contemporary art at the Courtauld Institute of Art, University of London. Recent publications include The Visual World of French Theory: Figurations (Yale, 2010, Figurations 68, Le monde visuelle de la French Theory Les Presses du Réel, 2018) and Picasso / Marx and socialist realism in France (Liverpool, 2013), based on decades of research and interviews. Her opera libretto, Picasso in China is looking for a composer. She continues publish upon lesser known women artists, while perfomance is another interest. At the Courtauld, her MA course, ‘Global Conceptualism’ was generated in 2011 with Professor Boris Groys. She is an active member of CCRAC, the Cambridge Courtauld Russian Art Centre. She worked on the Fernand Léger: The Late Years, 1989, with Nicholas Serota. She was principal curator of Paris, Capital of the Arts, 1900-1968 (Royal Academy London, Guggenheim Bilbao, 2002-3) and Pierre Klossowski Whitechapel Art Gallery, 2006 (touring to Cologne and Paris). Sarah Wilson was appointed Chevalier des Arts et des Lettres by the French government in 1997 and in 2015 was given the AICA International award for distinguished contribution to art criticism.